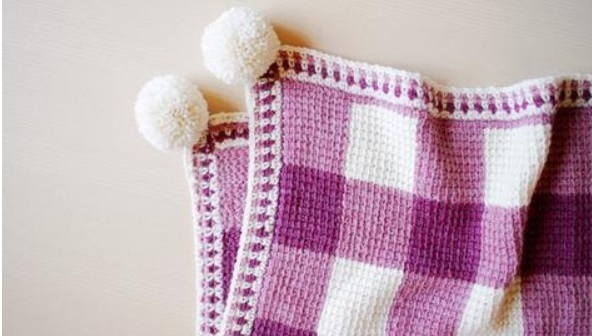 Today we are going to learn to crochet a rather beautiful gingham blanket with the beautiful pom-poms over its’ angles. The tutorial is a very clear video explanation that is going to deliver all the necessary information that you are going to need to complete this cute project. Within the matter of some dozen minutes you are going to have yourself a brand new gingham blanket, that can be used in so many ways. The color choice that you can see on the picture may be one of the most optimal ones. We would probably leave the colors untouched. Enjoy the tutorial and return for more DIY instructions.